Pickett Design Associates initially provided peer review during the Design Development phase of this project. The scope expanded to include interior design services and coordination between the related disciplines of the University. With the use of natural materials, such as stone and wood, and enhanced by natural light, the public spaces create a feeling of warmth and well-being. Pervasive throughout the finish palette, including furniture upholstery, art and signage, are images drawn from nature. Signage panels on each floor feature organic material embedded into a resin panel. 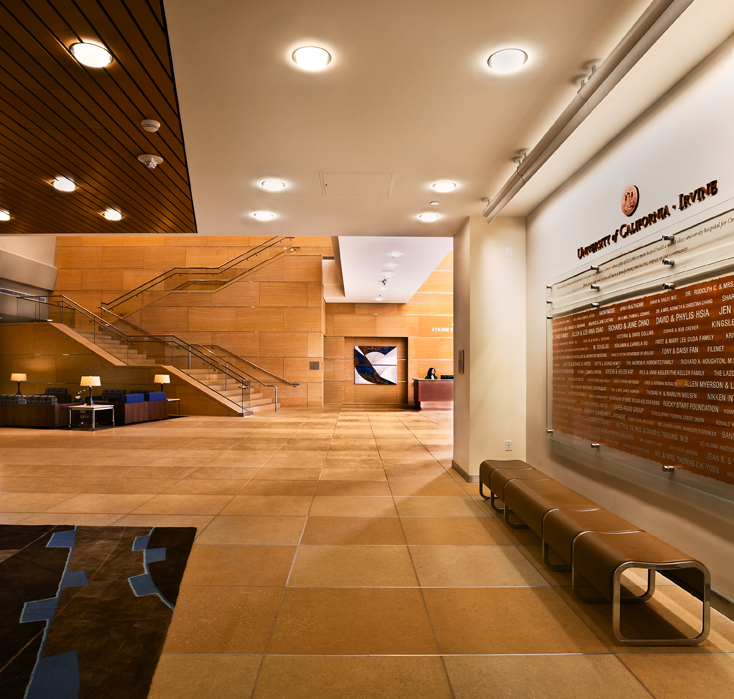 These specialty items enhance the ease of way-finding throughout this new facility. The natural color schemes used throughout the patient floors further create a relaxed ambiance and connection to nature.